Check out the Best Sanitary Ware brands in the world and operating in India. Bathrooms are considered to be as important as any other rooms in the house. With the modernization of Indian living conditions, traditional bathrooms have slowly been moved out. Just like the western countries, bathrooms are used by the home buyers to spend some time in a fresh and cool environment. Thanks to some of the trendy and stylish sanitary ware brands which make these experiences even more beautiful. Mentioned below are some of the best Sanitary ware brands 2019 2020. Jaquar provides world-class products in sanitary ware. Founded by NL Mehra in 1960, the company provides a complete high quality and designer bathing solution to the customers. Today, Jaquar is considered to be a market leader in stylish bathroom fittings. Closets, urinals, shower enclosures, lighting products, wash basins, steam cabins, etc. are some of the products manufactured by Jaquar. Cera is one of the leading brands in the sanitary ware products in India. The company has been producing high quality, stylish and innovative product right from 1980s. Cera products have an extra shining than other sanitary ware products in India, reason being usage of natural gas during their production. The company also has a superb after sales service for their customers. Some of the exciting products manufactured by Cera include 6919 sensor tap, electronic flushing system, plastic seat cover, wooden and table top wash basins, shower chair, wall mounted rail and grab bar. Having been voted as the Product of the Year in 2012 in sanitary ware segment, the company is considered as one of the top 100 brands in India. Hindware is one of leading brand in sanitary ware not only in India, but across the globe. The company which was founded in 1960 by Mr. Rajendra K Somany as Hindustan Twyfords mainly to produce vitreous ceramics in India has become a global brand producing the best world-class sanitary ware products. The company has done some of the exquisite designs and produced innovative products in the market, the design and technology can be compared with a masterpiece. Some of the products manufactured by the company like bidets, wash basins, ceramic cisterns, EWC, urinals can be called as world-class lifestyle products. Parryware company was started in India as a part of EID Parry which has been in the business for more than 225 years. It was then taken over by Murugappa Group and is now a 100% subsidiary of Roca Bathroom Products Pvt Ltd. The company is the pioneer in introducing new trends and technologies in sanitary ware industry. Parryware brand is one of the most renowned brands in the introduction of cistern, toilet suits, dual flush and microbial surface. It provides practical, contemporary, and value for money products to its customers. Founded by John Michael Kohler in 1870s, Kohler is one of the oldest and leading global brand manufacturing sanitary ware products. The company has manufactured some of the best products not only for the bathrooms but for a kitchen, furniture, engines, generators, etc. 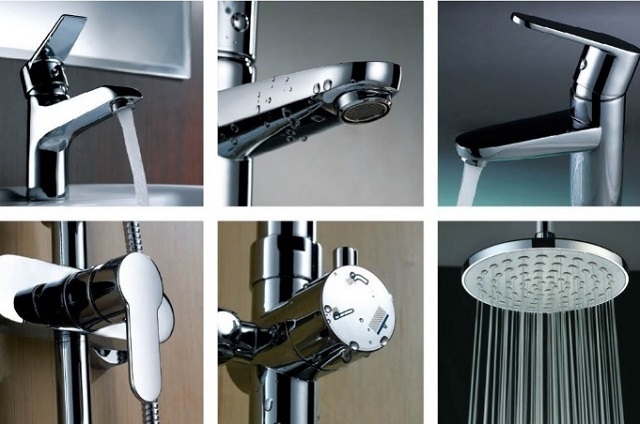 Some of the products manufactured by Kohler include bathroom faucets, toilets, shower, sinks, bathroom accessories, etc. Their products are made of good quality and very stylish.